Path analysis has been largely used in marketing research but has recently been applied in an environmental management context. This study evaluated the potential of path analysis in identifying the influence of moisture content on odor from decomposing food waste. Food waste with varying moisture content was monitored for odor concentration, microbial population density, oxygen uptake rate, volatile fatty acids, ammonia, and hydrogen sulfide. These various parameters were later analyzed using SmartPLS 3.0 software to produce the path analysis model using simultaneous equation modeling. 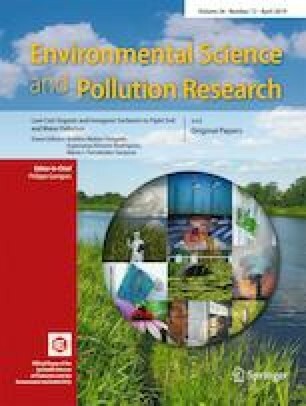 Results indicate that odor concentration of food waste was not directly affected by moisture content (not significant, t-statistical 1.46 < 1.96), rather; moisture content influenced the microbial population density and biodegradability of the food residue which influenced the formation of hydrogen sulfide (significant, t-statistical 3.79 > 1.96) and subsequently odor. In order to manage food waste–related odors, it is recommended that the waste be kept at a moisture content lower than 40%. This is especially critical if prolonged storage is unavoidable. The study was funded by Ministry of Higher Education Malaysia Fundamental Research Grant Scheme (203/PAWAM/6071241) and Universiti Sains Malaysia under Iconic grant scheme (1001/CKT/870023) for research associated with the Solid Waste Management Cluster, Engineering Campus, Universiti Sains Malaysia.